Log in to https://www.justuno.com and click "Promotions" and then select "Edit Integrations" next to the desired Promotion. On the "App Integration" tab, locate and click on the AWeber "Connect" button to launch the configuration options. Justuno now supports the AWeber Tags feature. 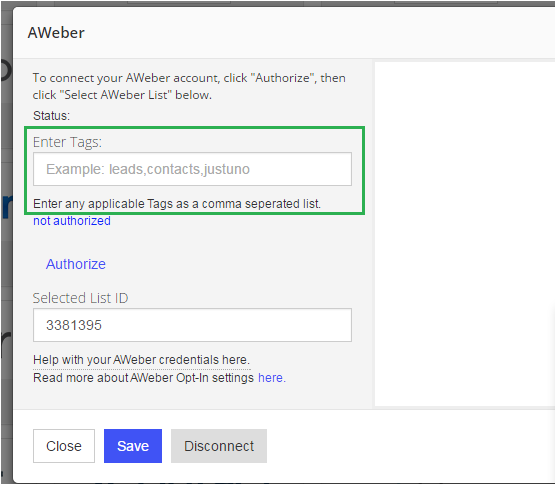 By Tagging your contacts, you can easily create Campaigns in AWeber based on these Tags. Just enter one or a comma delimited list of Tags that will then appear on your Subscriber details. 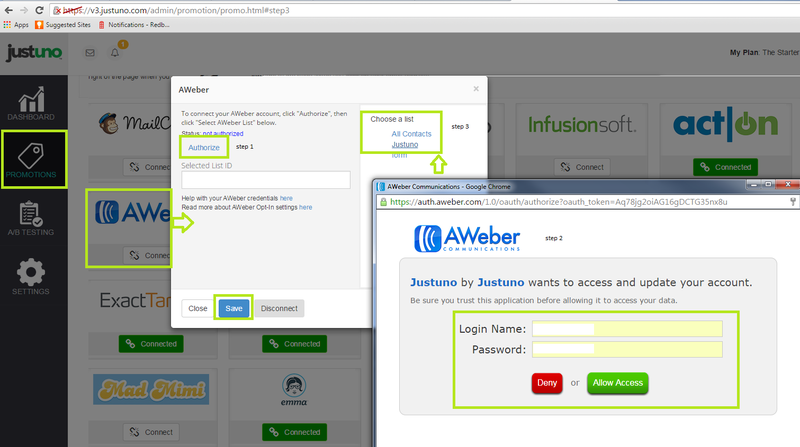 Your Justuno will now sync new signups to your selected AWeber list as they come in!